With over 60 years of experience in the flour milling industry, the promoters are pioneers in the field. This was the stepping-stone for setting up our state-of-the-art flour mill near Kolkata. Since commencement of production in the year 2000, products of the ‘Ankit’ brand have been widely appreciated for their superior quality. After establishing ourselves as market leaders in wheat products, we embarked on a diversification project in 2006. We set up a paddy processing unit, which is today the largest rice mill in Eastern India. To cater to the changing and stringent demands of the consumers, we have always adopted the latest available technology and operate our rice and flour mills with high-tech machinery imported from global and national leaders. Our mills have received Certificate of Registration under ISO 9001:2008 (Quality Management System) and ISO 22000:2005 (Food Safety Management System). In addition, the Company’s products have been granted “Agmark” Quality Certification Mark of the Government of India. We are also holding FSSAI license under FSS Act, 2006 of the Government of India. Over the years, we have also established a strong infrastructure and developed huge warehousing capacities for internal use as well as for leasing out. We manufacture high-quality Non-Basmati rice like Banskati, Miniket, Patnai, IR-36 and Sarna. 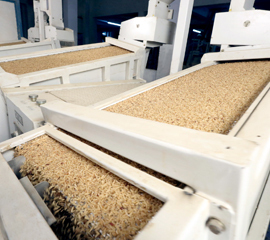 In the period 2000 – 2005, we established ourselves as market leaders in the flour milling industry. The Company then proposed to embark on a diversification project in the year 2006 and it was decided to set up a paddy processing unit. We had the confidence to establish a large modern rice mill as opposed to traditional small-scale rice mills prevalent in West Bengal. We produce the finest quality of Atta, Maida, Sooji and other Wheat products. 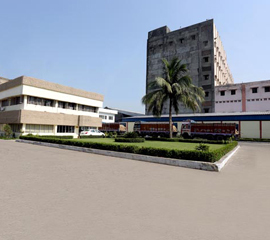 In the year 2000, the company set up a 150 TPD Roller Flour Mill in Junglepur, (Howrah district) with latest technology and equipments from world leaders Buhler of Switzerland. AIL was the first to introduce such advanced flour milling technology in Eastern India. This gave the company an edge over its competitors.Due to our consistency and excellent quality, the products were well received by the market and demand kept rising. 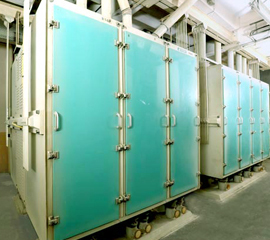 To cater to the growing demand, the Company kept on increasing the production capacity.